Pakistani drama industry seems to be upping their game in terms of quality and the approach with which the stories are being shown, that is why this season, the drama buffs are being spoilt by getting some really good dramas on TV screens. As these dramas are currently being aired and will end next year, they couldn’t be included in any of the annual lists of 2016. However, we wanted to dedicate a list to a few of the TOP dramas of this season, which the viewers were contemplating about whether to watch them or not because we feel, these dramas should definitely not be missed and are worth our recommendation. Cast: Sanam Saeed, Adnan Malik, Meera Sethi, Hina Bayat, Samina Ahmed, Munawwar Raza, Mohsin Raza Gillani, Madiha Rizvi and others. Dil Banjara has more than its fair share of weaknesses but there are also some aspects of this drama which make it a must-watch. The stunning locations, unconventional characters and an unpredictable storyline makes this drama one which should not be missed. Even though Sanam Saeed and Adnan Malik’s performances can be a little shaky at times but their on-screen chemistry makes their couple a complete success. Hina Bayat and Mohsin Gillani’s brilliant portrayals and their one-of-a-kind relationship is another interesting and unusual yet appealing aspect of this drama. Mohsin Gillani plays the role of a father who stands up against all odds to ensure that his daughter gets all those opportunities which other girls in the family never got with brilliance. Sanam Saeed plays the character of a girl who never wanted to let her father down but ended up falling for a man even though she is engaged to someone else with precision despite of some flaws in direction because of which her character seems confusing at time. Sikandar is also an unusual leading man who keeps you wondering about his next move. Dil Banjara is the story of three people who are hopelessly in love even though they are not meant to be together. Cast: Imran Abbas, Saadia Khan, Firdous Jamal, Usman Peerzada, Saba Faisal, Humayun Ashraf and others. This drama made a lot of buzz because as it was promised to be the second season of Khuda Aur Mohabbat, however, this factor was kept hidden from the viewers that the team of this drama was planning to cover the entire novel from beginning to end in this season, that is why they included that section of the story which was already covered in the first season too. 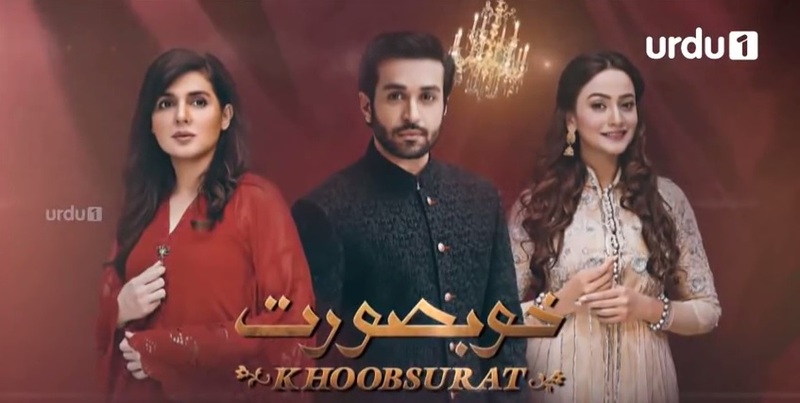 However, it is a bonus for those viewers who haven’t seen the first season because the team of Khuda Aur Mohabbat has made a bigger and better come back. The story is about two different people who belong to two different worlds but it is the feeling and emotion of love that binds them together. Even though the story revolves around Hammad and his love for Imaan a little more but it is one such journey that shouldn’t be missed. Imran Abbas is one such actor who knows how to portray the emotion of love flawlessly and phenomenally on screen, so it sure is a treat for all the drama buffs out there. 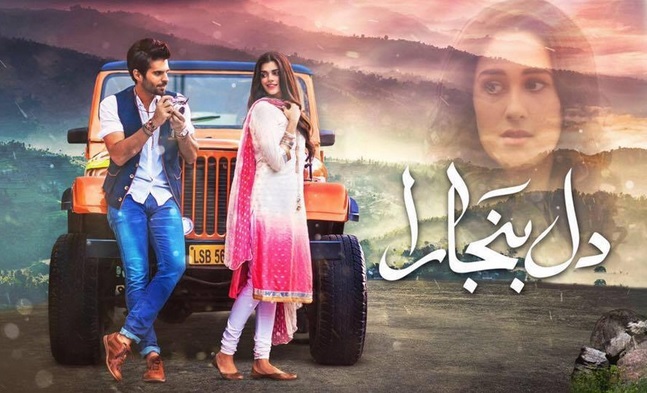 Khuda Aur Mohabbat is filled with such beautiful characters that you will have a great time relating to them and then Hammad’s character and journey will keep you hooked to this drama as well. Cast: Ayesha Khan, Syed Jibran, Aly Khan, Hira Tareen, Irsa Ghazal, Imran Ashraf, Mehmood Aslam, Furqan Qureshi, Saba Hameed, Marium Saleem and others. Khuda Mera Bhi Hai isn’t the story of one person alone but it is the story of many people whose lives change drastically after the birth of an intersex child and obviously this will be the story of that child too once the story moves forward. 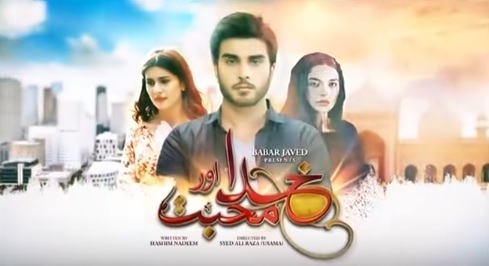 The drama has some credible and compelling performances to its credit, the script so far has been logical and the director has managed to do complete justice to the emotional upheavals which were a very important part of few of the episodes that have gone on air and will play a vital role in helping the viewers relate to the characters in the upcoming episodes as well. Through the character of Bubbly the writer also tells the story of intersex individuals who are not accepted by the society. 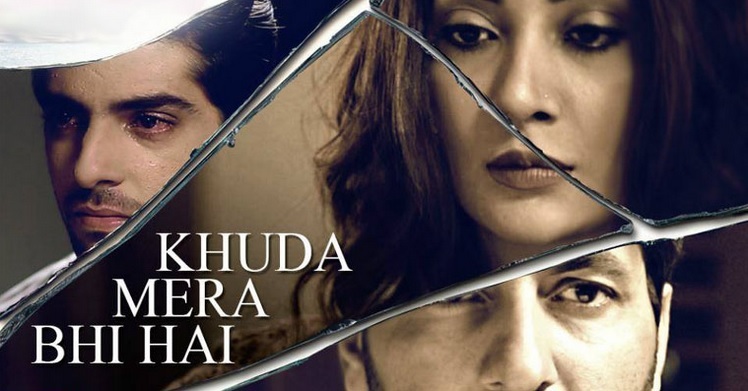 Aisha Khan, Adnan Shah Tipu and Saba Hameed’s outstanding performances and the way this story has been executed make this drama a clear winner. This drama also has some brand new situations and scenarios to its credit which give it a very refreshing feel. Khuda Mera Bhi Hai will keep you entertained and engaged throughout, do watch it. Cast: Mahnoor Baloch, Azfar Rehman, Zarnish Khan, Asma Abbas, Faisal Rehman and others. Khoobsurat isn’t grand but it is definitely entertaining. Zarnish Khan and Azfar Rehman’s sizzling on screen chemistry and their natural and spontaneous performances make this drama a must-watch. The story is rather simple but it is appealing nevertheless. The director and the writer seem to be taking the time necessary to take the story forward but they have done so without slowing down the pace of the drama. Khoobsurat is also visually pleasing not only because of the beautiful people who are part of the drama but also because of the picture quality and overall outlook of these actors which isn’t Over The Top but pleasing to see on screen. So far Khoobsurat is a decent watch which falls in the category of light entertainment. The drama is likely to get serious in the future but so far the writer has managed to cover all the aspects of the story without making it too somber at any point. Zarnish Khan and Asma Abbas’ exceptional performances and their relationship with each other is the highlight of the drama as well. Cast: Firdous Jamal, Irsa Ghazal, Uzair Jaswal, Neha Rajpoot, Kinza Hashmi, Ayesha Toor, Ali Kazmi and others. If you are in a mood to watch a light hearted drama with a cute love story unfolding on your TV screens, Moray Saiyaan is the drama for you. The scenic locations of Islamabad and aesthetically appeasing backdrops make this drama worth a watch. This drama consists of new faces who definitely will capture your interest because who doesn’t like seeing completely fresh faces every now and then? Even though Moray Saiyaan has a very simple and one-dimensional story, it also has a mysterious family background which convinces you to put your mind to it in order to solve the riddle about what might’ve happened in the past. Uzair Jaswal and Neha Rajpoot’s chemistry is another added bonus in this drama and the characters of Ghaziyan and Zubaria will definitely grab your attention. Cast: Noman Ejaz, Sania Saeed, Hassan Noman, Kubra Khan, Mikaal Zulfikar, Masoor Paras, Najiba Faiz, Uzma Hassan, Kaif Ghaznavi, Tipu Sharif, Beenish Raja, Omair Rana and others. This is probably one such drama of the season that has everyone hooked to it completely. Even though in the initial episodes, it did look it was going to be an issue based drama with a very serious undertone but the writer and the director with their amazing talent turned it into a complete package. Iron willed characters, strong women, humour, sarcasm, family politics, plotting, planning, unpredictability, you name it, you’ve got it. Sang e Marmar definitely gained popularity because it got better and better with each passing episode and surpassed viewer’s expectations because at this stage of the drama industry where there was an influx of star studded disasters, no one expected Sang e Marmar to be this good. Sang e Marmar is a perfect example of how a drama should be, where it should take the viewers to the world of its own and when the episode ends, it makes them feel they didn’t get enough of it. Sang e Marmar is a result of intelligent writing, intelligent direction and brilliant acting. The writer chose such a grave subject where he chose to highlight the issues that prevail in a certain culture without making it seem to grim and then the director elaborated it with finesse, where he never once made the viewers feel detatched to the reality that was being shown. Then last but not the least, the actors gave such captivating performances that the viewers formed a connection with them to such an extent that it ended up looking like the viewers were watching real lives of real people unfold on their screens. If you haven’t hopped on the band wagon of Sang e Marmar, it’s a high time you should because if there is one drama that you should definitely not miss, it is Sang e Marmar. Cast: Sajid Hassan, Ayeza Khan, Farhan Ahmed Malhi, Aly Khan, Mehmood Akhter, Imran Ashraf, Komal Iqbal and others. Shehrnaz is the story of a girl who dreams to be a “heroine” in a film some day. Shehrnaz’s story is endearing and is free of clichés which is why it is a must-watch! This show belongs to Ayeza Khan completely, those of you who would like to watch Ayeza Khan excel in a role very different from the kind of roles she has been seen playing lately should definitely tune into this drama. Just like all the other plays in this list Shehrnaz too has a different feel to it; the heroine, her story and even the locations have been chosen well. Apart from Ayeza Khan Sajid Hassan’s acting is another reason why you will have a reason to tune into this drama every week. The production values of the drama are not as remarkable as some of the other dramas in this list and some of the supporting actors are misfits too but Shehrnaz’s story and her track is interesting enough to keep the viewers glued to their television screens. The story so far is unpredictable which is another reason why this drama keeps on giving its viewers twists and turns which keep their interest alive. So, with this, we conclude the list of Must-Watch Dramas of The Season. Please feel free to add more names to the list and don’t forget to share your thoughts.